This Is Your Chance to Be in a Bestselling Book! Have you ever read something that was a gamechanger for you? A sentence that helped you breathe deeply and made you feel understood? A string of words that made you feel less alone? A paragraph that helped you see the way out of the woods? An idea that put bounce back into your step? It may not have been a blogpost or an article. It could have been a movie you watched, or a novel you read. It happened to me when I watched the movie Lion (2016), starring Dev Patel. The story was about a boy searching for his biological mother. Being an adoptee, this movie made me feel less alone in my unanswered longing to find and meet my biological mother. I left the cinema with tears in my eyes but a deep feeling of being understood in my heart. 1. You realize you are not alone. Humans are social creatures. We need others. 2. You feel capable. If others have faced the same thing and survived, you can too. 3. You see that you can be the difference to others in the same situation. You might think you don’t have any such story in your life… But take a moment to think back to your lowest moment. How were you helped? Was it something someone said that helped you turn the corner? Was it something someone did? A passing word from a stranger or a friend? There is someone out there who needs the encouragement of seeing their life reflected in your story. And because you made it, and you were helped, they will feel inspired too. With me so far? Don’t leave yet. I’m about to get to the good part. What does a contest have to do with the power of sharing your story? Well, for starters, it could win the chance to be in a book scheduled to be published in the last half of 2018! The selection process will work via voting. 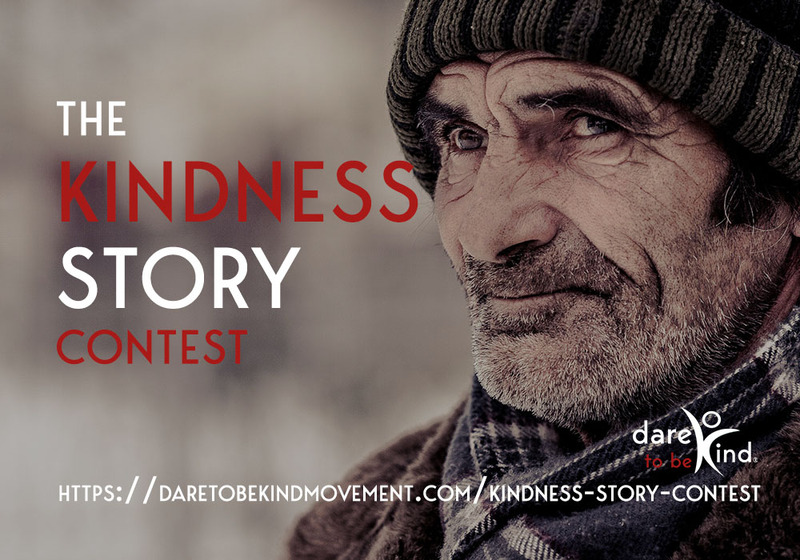 The stories with the highest number of votes will be selected for a book I’m writing on Kindness. If you want to see your story published, ask your friends and family to vote for your story! Aside from kindness stories, I will be interviewing various experts on how kindness plays out in their industry, so your name could appear next to several well-known individuals! Interested? I hope so. Because once I have the winning stories, I have a team in place who will help this book achieve its fullest potential. We’re thinking Oprah-level big. Even if you don’t feel comfortable with your writing skills, you can submit your story as a video or an audio. And if your story gets enough votes, I’ll have my team work on transcribing it for the book.  They are not alone.  They can be the difference to others who are struggling. Still not sure if your story will be a good fit? Send your story in and I’ll vet it personally. The contest is only open for a limited time as I have a tight publishing schedule I need to follow. Once we have 100 stories, submissions are closed. So enter your story while you can! There’s so much garbage online, in the news, and cluttering up our social media feeds. Let’s create something good and beautiful for the world.